Unless I’ve missed something, Stop the War Coalition hasn’t changed. What has changed is that Stop the War Coalition is suddenly getting scrutiny due an organisation heavily influenced by the leader of the UK’s second largest party. And what that scrutiny reveals makes it hard for anyone aspiring to mainstream politics to be associated with the thing they helped to shape. So they edge away, citing pressures of time &c.
And whatever the reasons, it is the right thing to do. This entry was posted in british greens and tagged Caroline Lucas on December 9, 2015 by Mira Vogel. The following post is by Jessica Goldfinch. There are things called ‘Antisemitic Canards‘, evoking a French-derived English catchword for “hoax”. They are false stories inciting antisemitism. Despite being false by definition, antisemitic canards often form part of broader theories of Jewish conspiracies and, through repetition down the years, often become generally accepted ‘truths’. The Rothschild (Red Shield) family has long been the subject of Jewish conspiracy theories from the Napoleonic Wars, to the Illuminati’ and 9/11. More recent examples of this well integrated canard include this banner (source: Everyday Antisemitism) from the London anti-austerity march in June 2015, created by the young chap on the left. It says ‘AUSTERITY IS A CON WESTMONSTER BANKSTERS SPONSORED BY ROTHSCHILD. And this retweet by Sandra White (SNP MSP) from a well followed tweeter. The image of a pig being suckled is from the New World Order website. Sandra White protested that she retweeted in error. As of April 2015, Twitter gives you a two stage process to confirm a retweet. Since numerous complaints and a police investigation for incitement and hate crime, Sandra White has been given strong warnings, has supposedly ‘unfollowed’ Charles Edward Firth and apologised. People are sacked for less. The BBC has also had to edit the programme on iPlayer to get rid of his defamatory comments. Genel Energy is a Kurdistan regional oil-based energy company. Nathaniel Rothschild is not on the Senior Management Team; he is on the Board of Directors alongside nine other members. No, Tony Clarke did not mention Jew or Jewish, but he’s not a fool, (he is a well-versed ex-Labour Councillor for Northampton Borough Council and ex-Labour MP for Northampton South), neither is the Green Party, hence the very swift retraction. Tony Clarke could have chosen to state that Mehmet Emin Karamehmet is a major backer of Genel Energy and done his homework to find out that Genel Energy is Kurdish based, hence Karamehmet’s backing and prospects for oil, it does not buy oil from ISIS or anyone. Instead he chose to associate Rothschild, with ISIS, via big money oil, and being chummy with Osborne, “therefore” fuelling evil across the world. Perhaps he was inspired by Sandra White’s (SNP/MSP) antisemitic tweet, which does exactly the same. A Foreign Affairs Spokesperson is a party equivalent of a Shadow Foreign Minister or Secretary of State for Foreign & Commonwealth Affairs. It is one of the ‘great offices of state’. I would assume that with this position comes the requirement of above-reproach diplomatic skills and cogent and knowledgeable statements and behaviour. Ignorant of the Rothschild conspiracy tropes makes one wonder about the competency of someone deemed party-fit for a Foreign Affairs position. For someone who was a Councillor and MP, I doubt ignorance plays a part. Either way, it took me a few minutes to find out the relevant information. Let’s be clear, Tony Clarkes’ statement makes Nathaniel Rothschild directly responsible for fuelling “ISIS…evil across the world”. Incompetence, ignorance or knowing use of a well-worn antisemitic canard? Either way, one would have thought that it would make one’s position untenable, people have been dismissed for less or similar in this party. Then again, blind-eye antisemitism in the Green Party has had a comfy home for years. Totally, lazy, stupid and, I allege, a deliberate use of a well known old canard. The Green Party apologised, notably, swiftly to Genel Energy, one wonders where its apology to Nathaniel Rothschild and the Rothschild Family is. This entry was posted in antisemitism, british greens on November 30, 2015 by Mira Vogel. David Icke was a goaly, match of the day commentator, Green Party Principal Speaker, and conspiracy theorist. Despite the efforts of some Greens he is still an instinctive draw for others. Read about it on Engage. This entry was posted in Uncategorized and tagged David Icke on March 10, 2015 by Mira Vogel. For a long time the Green Party has been racked by bitter, polemical campaigning against Israel which has crashed the boundaries of simple anti-Zionism. It has included calling Green Party members who defend Israel Nazi infiltrators, alleging that a non-Israeli member with a Jewish name was an Israeli agent, failing to react appropriately to antisemitic comments in a discussion of a “Zionist lobby“, saying that Israeli academics were “not part of the civilised world”, circulating material by David Duke and quasi journalists concerned about Jewish influence in Parliament, promoting material by Gilad Atzmon, objecting to Jews taking certain official positions, affiliating to the Palestine Solidarity Campaign and Stop the War Coalition, and tending to treat concerns about antisemitism as politically motivated (and in fact worse than antisemitism itself). Perhaps at this stage you’re inclined to shrug – after all, this kind of talk is normal now. But it shouldn’t be because it lowers resistance to antisemitism when what we need to do is make antisemitism strange. Perhaps you’re thinking that I am trying to create a diversion from criticism of Israel. But Greens Engage has always drawn attention to criticism of Israel. Perhaps you’re of the opinion that the Greens’ creation of the Palandisrl list was a principled measure of containment and damage limitation, a sort of pre-moderation in itself. But the Green Party was aware of antisemitism from these quarters, has taken a policy stand against it, and therefore has a responsibility to keep things clean under that stone. Perhaps you’re wondering why I didn’t pursue the ‘quiet word’ approach – the offending piece is gone now, after all. The reason I wasn’t prepared to pursue the matter informally and discreetly through an intermediary is because I consider that approach ultimately unsustainable, not to mention disempowering for members without these privileged connections to the inner circle of activists. Perhaps you’re tempted to shoot the messenger or deny that anything antisemitic has or possibly could have happened in the Green Party, because the Green Party is the party of the good people. 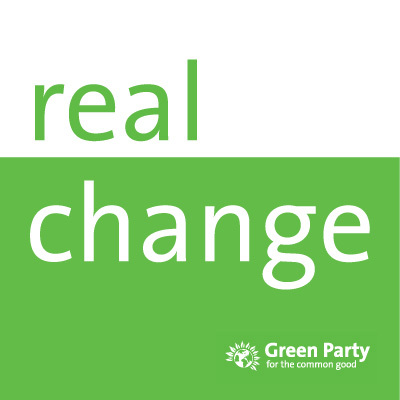 Yes, but Shahrar Ali – moderator of the step change when Martin Deane announced “At this time, to be accused of antisemitism here is a sign we’re probably doing something right” – is now a Deputy Leader of the Green Party. His conference speech was all about the need to fight discrimination. That anti-discrimination agenda needs to be honoured when it comes to Jews – including Zionist ones, and even when the attacks on them come from what seems to be pro-Palestine campaigning. And then there’s Martin Deane himself, selected to replace Shahrar Ali as moderator of a discussion about Palestine and Israel, a role for which he has shown himself to be inadequate. So this is not an anti-Green Party post and it’s not suggesting that antisemitism characterises the Green Party. This post has happened because there are no functioning official internal channels for redress on antisemitism. This entry was posted in anti-Zionism, antisemitism, british greens, conference on September 23, 2014 by Mira Vogel. On the Green Party’s Palestine & Israel discussion list, Green Party members have been urging a bigger Green Party presence at UK pro-Hamas rallies. Jessica Goldfinch, Norwich Green Party, responds. ‘Green is the colour of Hamas; green is the colour of resistance’ – for some reason when I read this, the 80’s classic, by Cyndi Lauper, ‘True Colours’ popped into my head. The last time I checked the Green Party of England & Wales has no affiliation to Hamas and yet to have gone unchallenged that we should have more green banners at Gaza protests because ‘Green is the colour of Hamas; green is the colour of resistance’, demonstrates at least a tolerance for the idea. The essence of the 1988 Hamas Charter still stands under articles 6, 7, 22, 31 & 32.A ‘temporary truce’ or hudna does not mean recognition vs. Hamas is prepared to recognise Israel along the 1967 lines – various western & eastern political commentators have views on this. Hamas was not democratically elected, (seats won, Hamas 76 – 43 Fatah), in the way thatmost democratic countries would understand free and open elections vs. Hamas is the democratically elected government of Gazan-Palestinians. Despite reform and change, Hamas is responsible for: the summary executions and torture of collaborators and Fatah members; incidences of persecution, torture and murder of men,women, Christians and LGBTIQ citizens; the deaths of 100s of children predominantly from tunnel building & training as combatants and using its citizens as human shields vs. not the case/ unproven. Hamas is designated, (as a whole or as constituent parts); by some countries and the EU as a terrorist organisation vs. Hamas is not a terrorist organisation. So, whichever opinion camp you fall into, should ‘we’ talk to terrorists? Clearly history shows us that eventually talks do happen. Slowly, agonisingly so, previous arch enemies sit & make uneasy peace. We know, from the Irish-British “Troubles”, that hundreds of years of animosity can be overcome. However, there needs to be the ‘right’ conditions for talks to begin, even for so-called ‘unconditional’ talks. Who do you talk with? – my personal opinion here is that Jordan, (two thirds old Ottoman-Palestine), should not get-off for this and be part of the solution too. Who is most representative? High level training in diplomacy and peace negotiations? A ‘human’ touch maybe? The current Israel-Palestine tragedy is embedded in, not just decades, 100s of years of ethnic-religious-geo-political conflict and whether we like it or not, the solutions lie with the politicians and citizens of the region, with conditions of trust enhanced and fear reduced. There may be help from outside, which enhances these conditions. The conditions which are not needed are ones in which venom, demonization and rabble-rousing, glamorous cause celebre sound bites. Crass comments undermine the peace process, undermine the Green Party’s credibility and reputation and are dangerous. Crass comments include: we should have more Green Party banners at Gaza protest because green is the colour of resistance, green is the colour of Hamas. Is this unchallenged comment our ‘true colours’ shining through? This entry was posted in british greens on September 3, 2014 by Mira Vogel. As Gazan death, injury and destruction rises with little prospect of cease-fire, the UK’s loudest activists for Palestine continue to betray their cause. This entry was posted in anti-Zionism, antisemitism, conflict, palestinians on July 22, 2014 by Mira Vogel. There are three major stakeholders in the Jordan Valley: Jordan, the Palestinian Authority and Israel. As we have reported here, the pressures on water in the Jordan valley are acute. Israel, which shares responsibility for the problem with other countries along the Jordan, is also part of a solution. In cooperation with Jordan, Israel has re-established the Kinneret (known in the UK as the Sea of Galilee) as the Jordan’s source. “The Israel Water Authority will shortly begin, for the first time, to pump water regularly from Lake Kinneret into the southern Jordan River in an effort to ecologically rehabilitate the river, the authority announced Thursday. “During the first stage, 1,000 cubic meters an hour will be pumped from the lake into the river. At a later stage, the plan is to pump 30 million cubic meters a year into the river. The plan to shore up the southern Jordan was presented Thursday at a conference organized by the Southern Jordan Streams and Drainage Authority, and it is a comprehensive plan that includes enhancing the water quality and developing projects to encourage tourism in the area. In recent decades the water level of the southern Jordan River has dropped dramatically, because the flow of water into in from the Kinneret and the Yarmuk River has been almost totally blocked by dams. The quality of the water has seriously deteriorated, because the sewage of all the communities along the river has been flowing into it. Water from the Kinneret now only reaches the southern Jordan River if the lake’s level rises above the upper red line, at which point, to prevent flooding, the dams are opened to let water flow into the river. One of the major components of this rehabilitation plan is stopping the flow of sewage into the river and pumping clean Kinneret water into the river instead. Water Authority head Alex Kushnir told the conference that by the end of this month thousands of cubic meters of water would be flowing from the Kinneret every day. “Within two years we will increase the quantity and it will reach 30 million cubic meters a year,” said Kushnir. “I know that’s not enough, but that’s what we can manage now. We won’t be able to restore the river to its historic flow levels of the past. ”The improvement will be primarily in the quality of the water. According to Kushnir, by the end of this year a waste treatment plant will be treating the sewage that now flows into the river. Next year, the plant will be upgraded and the treated wastewater will be suitable for agricultural use. In addition, small desalination installations will be built to desalinate the saline water from the Kinneret springs that now flow into the Jordan, and some of the water will be allowed to continue into the river after treatment. Thus, the salinity level of the lower Jordan’s water will also be reduced. All these activities are being conducted with the agreement in coordination with the Kingdom of Jordan. Sa’ad Abu Hamour, the Jordanian representative to the joint Israeli-Jordanian Water Committee, attended Thursday’s conference. He said that his country also wants the river’s water quality to improve, but that at this stage this was a solely Israeli-funded project. The Palestinians are currently not involved. Gideon Bromberg, the Israeli director of the Friends of the Earth-Middle East environmental group criticized the officials promoting this plan for not soliciting Palestinian cooperation. “We can’t deal with the political issues right now,” responded Kushnir. “If we do, it will delay the efforts we are already making.” Abu Hamour noted, however, that because the Palestinians aren’t being included, the river will be cleaner in the area closer to the Kinneret but will remain polluted in its southernmost section, near the Dead Sea. A Jerusalem Post piece reports that Jordan has undertaken to clear landmines (banned under the 1997 Land Mine Treaty). It is not clear why Palestinians were not involved. However, boycotters must accept that it would be nonsensical to expect Israelis to solicit Palestinian cooperation while simultaneously urging Palestinians to boycott them. It falls to those of us who do not support the boycott to ask why Palestinians involved, not to mention why any of these countries are growing some of the most thirsty crops you can grow, namely citrus. This entry was posted in water on May 19, 2013 by Mira Vogel.